Kingsford Community School has been very resourceful in preparing our students for the future by guiding them and providing them with the knowledge they need for the world of work. The school completed Stage 2 of the Investors In Career (IiC) Award in May 2016, and aims to achieve full Investors In Careers status in Autumn 2017. The IiC award is a quality standard for the management of careers education, information, advice and guidance (CEIAG); it recognises the school’s commitment to providing an impartial CEIAG programme which contributes to whole school's aims and objectives while meeting statutory guidance guidelines. The school's lead in this is Sonalee Sarkar, Associate School Leader (ssarkar@kingsford.newham.sch.uk). Our programme starts in year 7 where we use our PSHE lessons to introduce students to Careers Education and Guidance where they learn: basic steps about the world of work, the perception of work roles, equal opportunities and how they can explore the world of work in the future. 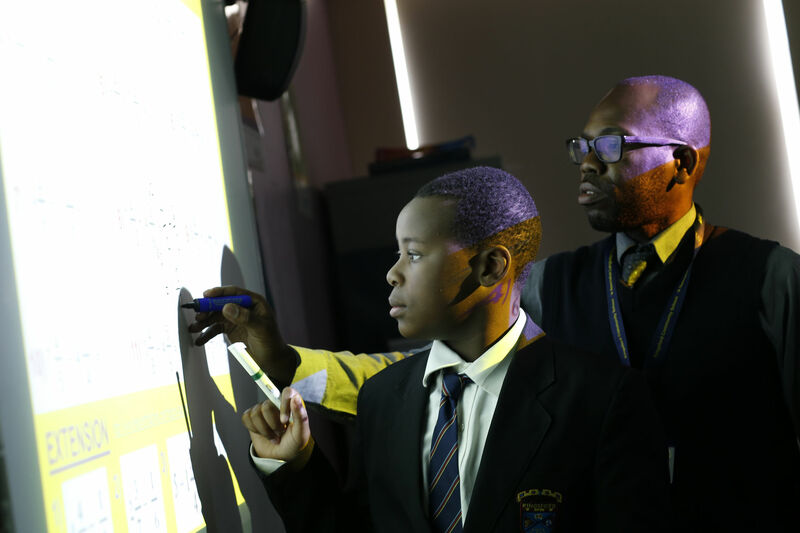 In year 8, the pupils further develop what they have learnt in year 7 as they learn to understand who they are and the skills, abilities and talents needed for employment and further education. In year 9, students study the 'Money Management' as part of their input in CEIAG. Students learn about real life skills, money management and personal banking. Year 10 students work very closely with their tutors and subject teachers as they prepare themselves for two weeks of work experience. During this time, assemblies are carried out to introduce work experience, show what opportunities the students have within the school and explain how Kingsford offer the opportunity for many students to go abroad to do their work experience, e.g. in France and China. Linked with this programme we organise a mock interview session where students will go to a local business and carry out an interview and employers will give written and verbal feedback on how they performed in their interview sessions. All students are provided with a work experience diary, where they log their day-to-day events and complete activity sheets. Students are assigned to a mentor/supervisor that guide and support them during their two weeks. All students are visited by a member of staff from Kingsford. Upon their return to school, students write an evaluation report about the skills they have developed during their work experience. In year 11, all students are provided with resources to inform and assist their transition into further education (FE). We work with 15billione who have assigned us multiple advisers to work in the school and guide our students through the process of transition and opportunities that are available to them for their future. Sixth Forms and Colleges are invited into Kingsford to promote their institution during Year 11 assemblies in the autumn term. Open day lists are also distributed to all students to encourage them to attend college open days and find out about courses and what is available to them, and further opportunities to visit FE providers are advertised through assemblies and careers interviews. Careers Evening is also a key element for the preparation for our students. A number of sixth forms, colleges and businesses attend and speak with both parents and students about what is available within their institution. Students have the opportunity during their PHSE lessons to work towards building their personal statements; producing an up to date CV and creating a progress file of academic and personal achievements. How2become - How2become is the UK’s leading career, testing and educational specialist. Since 2005 they have trained and guided 1000s of candidates through recruitment processes across a range of different industries, and their expertise has been acknowledged to the highest level with multiple national awards. The school will review the Careers Programme every June within an academic year.